While many fish finders settle for glitz and glam, the Humminbird 561 chooses to stick with basic and reliable functionality. It features the brand’s DualBeam plus transducer and SwitchFire sonar system for wider search coverage and highly-accurate returns. These returns are then presented in detail on the fish finder’s 5-inch grayscale display with real-time sonar window. The 561 also comes with a barrage of user-friendly technologies to make fish-finding easier and fun. These include the X-press menu system, custom view selection, display and background color selection, and more. 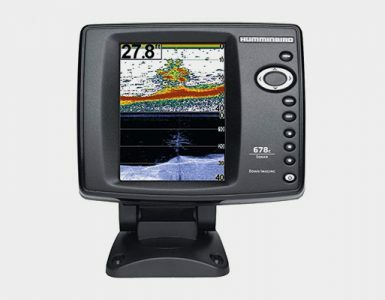 The Humminbird 561 offers thorough, detailed displays on its 12-level grayscale 5-inch screen with 320 by 320 pixels. It has a Split Screen Zoom that enhances the presented resolution and separate closely-packed sonar returns. There is also the Real Time Sonar window that constantly updates and display only the returns from the fish and structure that are inside the transducer beam’s range. The 561 uses large fonts for easy reading at a glance and features a screen backlight that’s very useful when fishing at night. Like its name implies, the 561 not only works with one, but two beams for double the performance. A 20-degree central beam is narrowly focused on the bottom and delivers highly-accurate returns of fish, cover, and other details. This is surrounded by a wider 60-degree beam that helps expand your search area for fish and structure. Reaching depths of up to 800 feet, the two beams can be used separately but always work hand in hand to widen your coverage area and give you a good idea of what’s underwater. Another great thing about the Humminbird 561 is that it comes with the brand’s innovative SwitchFire Sonar system. 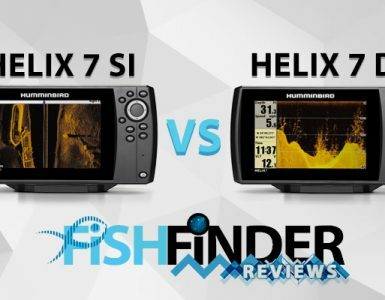 This system offers two different display modes – Clear and Max – to meet diverse fishing conditions on the go. The Clear mode provides easy viewing even when under rough streams as it lets you sift out noise in the shallow or agitated water. It also helps ease down unwanted clutters in the water column so you can focus only on what you want to see. The Max mode, on the other hand, offers incredible detailing of fish, cover, structure, water currents, thermoclines, and more. Taking two-dimensional fishfinding to another level, the SwitchFire Sonar will even let you test lure presentations, account for water temperature, turbulence, and depth, or add/remove details with a push of a button. Despite being built for basic functionality, the Humminbird 561 also comes with several user-friendly features. For starters, there’s the X-Press menu system that allows instant access to your most frequently used settings. Another handy feature is the custom view selection that provides you with the specific information you need without having to manually sort through the whole pool of data. Users can also choose their display colors and background colors while readouts can be customized through the digital readout selection. The Humminbird 561 fish finder measures 4 by 7 by 7 inches (D x W x H) and tips the scales at 3.35 pounds. It comes complete with a transom mount transducer, rechargeable battery, installation hardware, and owner’s manual. 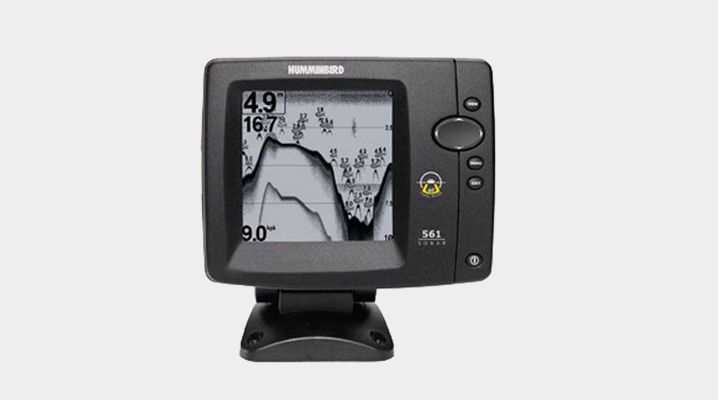 Humminbird has the 561 fish finder covered with a 2-year limited warranty on parts and service. The grayscale display on the 561 is very clear so it is really easy to get a good idea of what is beneath you when you are in your boat. It is also very easy to use, so you won’t be stuck messing around with the device while you could be fishing. 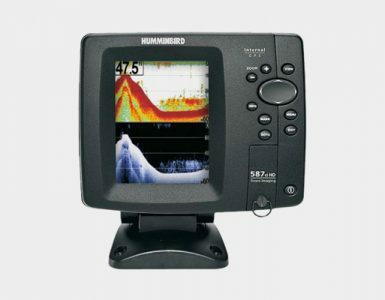 The Humminbird 561 is very good value fish finder that offers a lot of quality for the price.